The first time I came across the question – what’s white coat hypertension, I was in the doctors waiting to have my blood pressure taken. I had recently moved to a new area and the doctor’s surgery had a policy of giving all new patients a check up to make sure you were healthy and didn’t need to go straight onto a drug! I’m sorry if I sound cynical but I do feel sometimes, that drugs are pushed onto us when a natural treatment would be more effective, have no side effects and prove to be much cheaper. Reading that sentence brings it home how important it is to keep your blood pressure at an optimum level. Trouble is, when we go to the doctor’s, quite often our blood pressure is elevated and many practitioners don’t take into account ‘The White Coat Syndrome’. They are likely to prescribe a drug without further ado and you are then likely to be on that drug for life! My blood pressure was elevated! It seems to me that if there is an opportunity to put a patient on a blood pressure drug, that opportunity will be taken by many medics. In my case, the nurse took my blood pressure and she said it was elevated, which really surprised me because my blood pressure is always around 120/80 which is ideal and particularly good for a woman of my age. I was expecting her to refer me to the doctor to talk about putting me on medication and I was ready to have a go and inform her and/or the doctor that no way will I be taking a blood pressure drug. To my surprise she said “I’ll take it again but this time look at that wall over there” She pointed to a blank wall, there was nothing on it at all, it was completely blank. She proceeded to take my reading again and then she said “That’s better, your blood pressure’s fine”. On quizzing her she explained that for the first reading I was looking at what she was doing which kept the brain active and had an affect on the reading. Looking at a blank wall gave the brain nothing to think about and kept it calm. I am thankful to that nurse for being au fait with white coat syndrome. Whether the doctor would have done my blood pressure again, I don’t know. I do know they are under a lot of pressure to get through a vast amount of patients in as short a time as possible. Perhaps, because of this pressure, there is a temptation to do a quick prescription to control a common problem which many women of my age will have anyway. 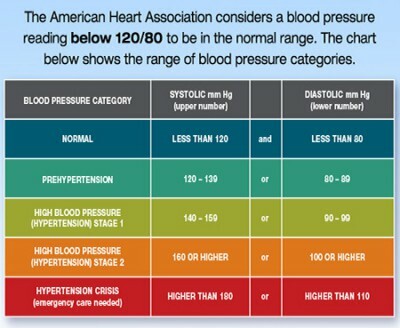 If you have an accurate blood pressure monitor, you probably have a good idea of your normal blood pressure reading. Some of you may be surprised when your medic takes your reading and it comes up higher than when you took it at home. In your own environment, you will be much calmer but going to the doctor’s surgery is quite often stressful, even though you don’t perhaps realise you are under stress. Next time you have your blood pressure taken, look for a blank wall and don’t look at what the medic is doing. You and your doctor/nurse may be surprised when the reading is lower than normal. You may have a problem though, finding a blank wall. Some surgeries have stuff plastered all over their walls and finding a blank one could be a challenge! Shutting your eyes could be another solution but it doesn’t work as well as the blank wall. There’s a story from Dr Caroline Dean’s book ‘The Magnesium Miracle’. (Page 96 The Blood Pressure Recipe). Dr Dean was visiting a doctor friend who invited her to sit in on his next appointment. The patient was overweight and very stressed and despite being on 4 different types of blood pressure medication, his condition was not improving. Dr Dean, reticent at interfering with another doctor’s patient, tactfully asked if impotence was also causing a problem. The patient said he had suffered impotence since he had been taking the prescribed drugs but had put it down to stress. Dr Dean also made reference to the patient’s weight and her doctor friend admitted he had not offered specific dietary advice but did advise him to loose some weight. Dr Dean also mentioned the benefits of magnesium (Mg) as a anti-hypertensive, muscle relaxant, anti-anxiety remedy and sleep aid. To Dr Dean’s surprise her doctor friend answered that if the four different types of drugs didn’t help he would always add Mg because it worked!! I personally think it is appauling that this most stressful and upsetting side effect of BP drugs like Diuretics and Beta Blockers, that of ED, is something men have to put up with. This is not acceptable. Whatever happened to ‘first do no harm’? If you want to get off your hypertensive drug, consult with your medic first and be tactful, he will probably not know the benefits of Mg, so gently educate him! You could refer him to the two books on my side panel by two different eminent doctors. The Magnesium Miracle by Dr Carolyn Dean and Magnificent Magnesium by Dr Dennis Goodman. Do you need an anti-hypertensive drug? So, do you really need to be on a blood pressure drug when you can use a Magnesium supplement to bring down your blood pressure. In fact, it could be why you’ve got high blood pressure in the first place. Low magnesium levels commonly cause many symptoms, one of which is high blood pressure! It’s worth trying a Mg supplement before resorting to a drug that you will probably be taking for life. Two of the most common drugs prescribed are Diuretics and CCBs (calcium channel blockers). There are many types of anti-hypertensive drugs but a Diuretic is likely to be prescribed initially. Diuretics remove excess water and sodium from your body. The theory is that reducing the salt and water in your blood will lessen the pressure on your blood vessels. But what if the patient is already dehydrated as many people are, especially the elderly? This drug would just increase the dehydration, posing a risk for thickening of the blood and increasing the chances of clot related conditions such as DVTs (deep vein thrombosis) and strokes. Dehydration actually caused high blood pressure¹. Dehydration causes the body to hold onto water by constricting the blood vessels. Constricted blood vessels actually increases blood pressure! What does a CCB do? 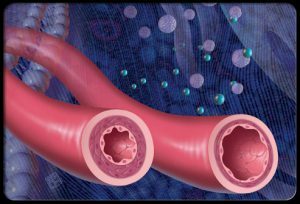 One of the most common drugs used to bring down blood pressure is a ‘calcium channel blocker’ or CCB. How does it work? This pharmaceutical drug works by blocking the effects of calcium on your blood vessels. This then lowers your blood pressure by causing blood vessel walls to relax and widen. Blocking calcium is not a good idea. It is not natural for it to be blocked and will cause side effects. Mg is a natural calcium channel blocker. How does it work? This natural mineral works by regulating the effects of calcium on your blood vessels. This then stabilises your blood pressure by helping blood vessel walls to relax and widen, making it easier for blood to flow through. Mg regulates calcium naturally. In other words, it allows calcium into the cells when needed and ushers calcium out of the cells when the job’s done. Other choices of anti-hypertensive drugs are Angiotensin-converting enzyme (ACE) inhibitors, Angiotensin II receptor blockers (ARBs), Beta blockers or Renin inhibitors. There are many advantages to taking Mg for hypertension, here are a few. Mg has no side effects. Mg is a natural nutrient that is vital for a healthy body. Mg is cheap compared to a drug. Mg is a natural calcium channel blocker. Mg will reduce and stabilise your blood pressure. Mg will not cause ED. Mg is necessary for a plethora of other processes within the body. Which would you prefer to take on a daily basis? Please leave a comment if you have any experiences you wish to share or have any questions about the above post. What's white coat hypertension? Has your doctor prescribed a hypertensive drug without double checking your blood pressure? How about controlling your BP naturally? I found your post on what’s white coat hypertension? to be very informative. I have to remember to look at a blank wall when I get my BP taken. I think it is true that your blood pressure is usually higher when it is taken at the doctor’s office instead of at home. (loved the cartoon) Lol. I went off of my medications. I was taking atenolol for arrhythmia, and HCTZ for fluid retention, and a stomach pill for reflux. As a result of one of these medications, I have stage three kidney disease. I was tired all the time and just generally didn’t feel good. I graduated them down and went off of them one at a time. After I was off of them, I told the doctor what I did. He wasn’t too upset since I had taken myself off responsibly. At first my blood pressure went up. I told him I wanted to give it some time, and if it didn’t go down; I would go back on some medication. He had me take my own blood pressure at home. After a while it went down to what he was comfortable with. I would like to see it a little lower. My arrhythmia increased also. I started taking magnesium and oregano oil for my immune system. After a while of taking it, I realized my arrhythmia was much improved. Now I hardly ever notice it. I still would like my blood pressure to be down a little; but maybe it will take more time. I tried to get used to the swelling from not having my fluid pill; but I was too miserable, so I take a natural water pill now. Is this better? I also take rantidine instead of the pill they had me on for my stomach. I think it is from a different family of drugs and maybe not as bad for me. I feel much better since I’m no longer taking the prescription meds. I have more energy and not as many headaches and infections. It took my body a while to adjust; but I think I’m better off. Thanks Jeannie for your honest and informative reply. Hopefully others will read your comment and take a leaf out of your book. Taking your health into your own hands is a scary thing to do, especially when you’re on so many meds but it appears you have improved your health no end. Drugs by themselves are going to cause problems for the body. The body will treat them as a toxin and often the drugs you take actually stop a process within the body which is vital. Anything natural is better than a drug, as long as it does the job and you cannot overdose on it. One of those drugs is Proton Pump Inhibitors Side Effects which actually stop the production of acid so the stomach cannot digest and the enzymes cannot do their job and process nutrients. Rantidine reduces stomach acid. Problem is, most people suffer from too weak acid, not too strong, which doctors often omit to check. The sphincter that closes when stomach acid is strong enough to do its job, will not shut properly if the acid is weak. This causes acid reflux and despite the acid being weak it is still strong enough to cause damage to the oesophagus. What kind of magnesium are you taking and how much? The fact that you have kidney disease is proof that your magnesium levels are low. Research has shown that people with chronic kidney disease of all varieties show low levels of ionized magnesium. Unfortunately, doctors that do actually test for magnesium deficiency always use the Magnesium Deficiency Test which is flawed and gives false positive results. It only tests around 1% of the total magnesium in the body, which is kept constant at the expense of other magnesium levels which it will pull on to keep this constancy which is the body’s way of keeping the heart going. Arrhythmia is a sure sign of a magnesium deficiency and if your arrhythmia returns it is a good indication that your magnesium levels are low. Stress of any kind is the biggest depleter of magnesium and your problems will have induced stress for your mind and body. This article is really well-written and I am glad to know that I am not the only one that seems to have my blood pressure in the presence of a white coat doctor. I always wondered how accurate the reading is when I am at a clinic as I get a little anxious when the doctor is taking my blood pressure. I agree that magnesium is a good natural remedy. I like using magnesium oil externally rather than consuming it as I read that mg is better absorbed this way. Thanks for the insightful piece! This is the first I’ve heard of White Coat Hypertension. I’m with you when it comes to avoiding medications. In the case of hypertension, there are so many non-medical solutions. In my mind, drugs should be the last option, not the first. Incidentally, I’ve had great results using ionic magnesium to treat anxiety. It works within minutes too. Hi, I really enjoyed reading your post, I’m a pharmacist so obviously I know about the side effects some medicines can have, so I’ve been trying to find a more “natural” way to reduce high blood pressure for many of my patients. I can definitely say that a lower magnesium level than normal could lead to high blood pressure, so it’s really important to try to prevent this thing. I’ve recommended magnesium based medicines to many people, and what I like most about this type of medicines is that they don’t have any side effects, just like you said there. Hi there! 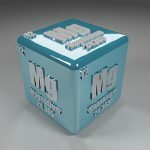 You have a great website about this essential element Mg. I didn’t know that the lack of it influenced our pressure and I think a lot of people taking drugs have no idea about this as well. I think we should take all the measures to avoid any kind of drug, IF there is an alternative, of course. 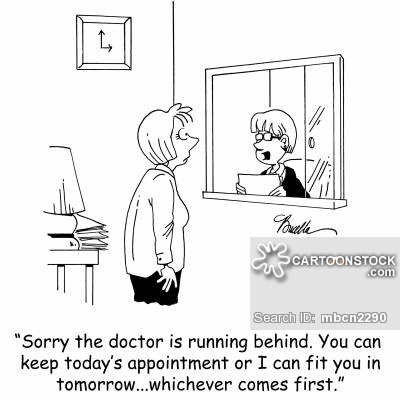 It is quite difficult because often times we are advised differently by different doctors and this really scares me. Because we are supposed to believe in our doctor 100%. But I really think we should search for better alternatives and suggest it to our doctors and hear about what they have to say. They must give us a sensible answer. This is a fascinating article and very relevant to me. I too believe that doctors are far too quick to turn to drugs, whether that be antibiotics, or blood pressure drugs. My husband went to the doctors once after a stressful meeting and the doctors were sounding all alarm bells about his blood pressure, so he went back another day and he was fine. So what you say it true. However my dad is on blood pressure drugs, and I am not sure exactly which ones, but I will send this article to him to make sure he is on the right ones! Thanks! Great site for personal health understanding and for not depending on doctors who only know how to prescribe drugs. I have never taken drugs since I was in college. I have never had health insurance and the only time I go to a hospital is to visit friends. Yes, magnesium… but what foods is it in? I like to eat fresh fruits and vegetables to get all my minerals, vitamins, and trace elements. Bananas are great for potassium, but do they also have magnesium? Please write about the natural foods where we can get magnesium. Your site can be a fantastic source for natural healing. Wow I really like the concept of your website and the design. It’s so easy on the eyes and ver easy to navigate. This is actually something affects my dad and he had to make a lot of changes to his lifestyle to combat it. He has really watched how he eats and started taking vitamins. Everything is low sodium and all natural. Also, he’s cut back on drinking a lot. I’ll have to tell him about magnesium and how it helps. Is it completely safe to take? Wow, this is some good information! Hypertension/High Blood Pressure runs in my family, so I’m always on the look out for good articles like this. I totally am a believer in natural remedies versus drugs given by a doctor. For one I don’t want to be addicted and for two I don’t want the side effects so Magnesium sounds perfect. Thanks for this, good stuff!